Bingham sets the tone for his latest album right out of the gate. “I’ve been carrying my troubles in this pack strapped to my shoulder,” he confesses in the opening “Nobody Knows My Trouble.” What follows are twelve songs that are filled with life lessons learned, no doubt, the hard way. 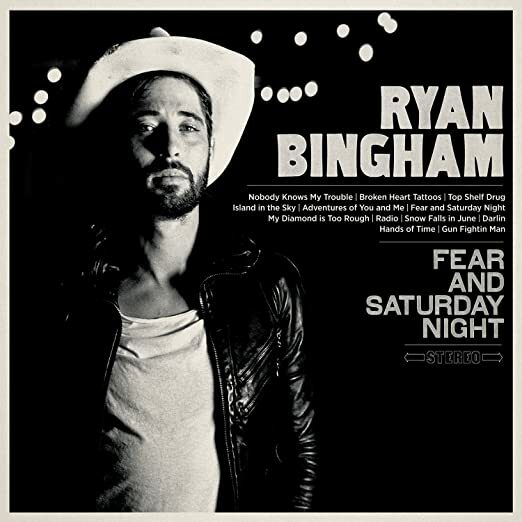 Bingham is backed by a formidable group of musicians who add their own grit to the songs, especially on the bluesy rocker “Top Shelf Drug” (with a riff that recalls the Peter Green/Fleetwood Mac classic “Oh Well) and the more poppy “Radio.” The latter track is a testament to the emotional power of music as Bingham laments the memories emerging as he listens to the radio. Fear and Saturday Night leaves the listener questioning whether Bingham really finds comfort and complacency. Regardless, the blend of weariness and restlessness that permeat these songs make for one hell of a musical ride. If there was any doubt about Kelly’s songwriting prowess then this release should put it to rest. Regardless of the genre, he’s simply got a magic touch. His latest is a collection of timeless soul classics. Rather than sing them himself, however, Kelly invited a group of friends to lend their voices to his songs. From Clairy Browne’s raucous take on “Keep On Coming Back for More” to Vika Bull’s sultry “What You Want,” each performance is the perfect combination of singer and song. Among many gems to be found on the The Merri Soul Sessions, I’m partial to this track that features singer Dan Sultan. It crackles like a lost Stax classic. Remember the old Reeses Peanut Butter Cup commercials where two people accidentally mix peanut butter and chocolate? That’s what happened when songwriter Jim White met up with bluegrass musicians The Packway Handle Band. White brought a collection of witty songs that he and the band brought to life with an infectious enthusiasm. It’s quirky in just the right way. The Oklahoma by way of Texas musician could probably make a mint selling his songs in Nashville. He writes and performs the kind of modern country that many of those so-called country stars wish they could do for themselves. Perhaps its all the better that he keeps them for himself and for us listeners. Canada sings with a drawl that gives his rough-hewn lyrics extra character while the rocking Departed add their own musical sting. The Westies, fronted by Michael McDermott and Heather Horton, teased us last year with a mighty fine ep. They’re back now with their equally exquisite debut full-length. Although the album takes its inspiration from the real life gang – the Westies – who reigned in New York City back in the 1960’s and 1970’s, many of the songs take a more personal tone. The best of them chronicle a couple struggling to find happiness in their troubled world. Earle’s latest is the companion to last fall’s Single Mothers. Like that release, Absent Fathers finds Earle mixing up soul and country as he tells tales of relationships gone wrong. The finer moments are the quiet acoustic ballads, musically serene but lyrically forlorn. I met Eaton after a recent show by Miss Tess and the Talkbacks, for whom he plays guitar. The conversation turned to his own music and a cd was proffered. Damn if it ain’t a fun listen. His sound hearkens back to the country rock of the 1970’s with the occasional dose of Southern boogie, as this stand-out illustrates. What is it about Minneapolis? The city is awash with rock and rollers. Local resident Rundman tends towards the power pop end of the spectrum, unleashing guitar power chords and sugared melodies for all enjoy.